Optional Single Supplement: $889 USD (number of singles limited). What a better way to experience the world of the Mediterranean than stepping foot into the centre of it all on our Malta & Tunisia Tour? Malta boasts unique villas that have been built close to some of the most spectacular landscapes, such as the Dingli Cliffs, which soar to heights exceeding 800 feet above the sea. Visit locations that are home to many of the worlds earliest legends. Pass through Blue Grotto where the Sirens songs were known to enchant sailors into straying from their course and to their doom, or explore the port of Djerba, Tunisia, where Ulysses and his men were detained on their return from Troy. See why Tunisia's Carthage was one of Rome's greatest rivals and realize the consequences of opposing such a powerful force. The Roman conquest can still be felt by looking at a colossal amphitheatres or temple left behind by the Empire. Travel along the remains of an aqueduct that had once brought water to Carthage from a source 80 km away. Tunisia also saw the earliest development of many religions. The holiest city, Kairouan, houses the first mosque in Africa, and Djerba is home to the oldest Jewish community in the world. Today we fly from Malta to Tunis, Tunisia. We begin the day with a walking tour through the old medina of Tunis, its narrow lanes crowded with mosques, tombs and palaces. This was Tunis until the arrival of the French in the late 19th century, who subsequently built their quarters outside of the "Sea Gate" -- now the Ville Nouvelle. En route we will see the Great Mosque of Tunis, Jemaa Zitouna, and the elegant Place du Gouvernement. We then visit the Bardo Museum, recently re-opened after extensive renovations. The Bardo houses the largest and finest collection of ancient mosaics in the world. These mosaics were discovered in the wealthiest of Roman villas in the many ancient cities found in Tunisia. Rich patrons commissioned a vast array of subjects and themes, from scenes of gods and goddesses, daily life (hunting, fishing, harvesting), the zodiac, seasons, amphitheatre games. From their exquisite details, we can understand why the North African school of mosaicists was the finest in the ancient world, and whose masterpieces can be found throughout the Mediterranean. As well, there are also fine sculpture galleries, exhibits of Punic, early Christian and Islamic artefacts, and an exhibition of magnificent bronzes from the 1st BC Mahdia shipwreck. We then head to Sidi Bou Said, a charming hilltop village famous for its beautifully decorated blue and white architecture. Visited by the likes of Cervantes, Simone de Beaauvouir and Jean Foucault, Sidi Bou Said made an indelible impression on the works of Paul Klee, August Macke and Louis Moilliet who stayed here together in 1914. You will have some free time for lunch and to explore this beautiful village overlooking the Mediterranean Sea. We continue to Carthage – the legendary city of Queen Dido and Hannibal. We will begin with a visit to the ancient Punic cemetery -- the Tophet, or sanctuary to Baal and Tanit. Roman propaganda, hostile to their enemy, stated that the Carthaginians ritually sacrificed their children here to the gods. Our next stop is the Punic ports, once the foundation of Carthage's prosperity. Here we see the remains of what was once an sophisticated naval harbour, complete with ship sheds for dry-docking their warships, and a elaborate merchant harbor, for their fleets of cargo ships which engaged in trade throughout the Mediterranean. From here we visit Byrsa hill -- the ancient acropolis and the first area to be settled by the Phoenicians. Crowning the hill is the 19th century Cathedral of St. Louis and the Carthage museum with finds excavated from the city. Our final stop is the Antonine Baths -- the monumental public baths of the city. In the 2nd century AD, these were the largest baths in North Africa and the 3rd largest in the Roman world. We leave Tunis early this morning for Bulla Regia. This ancient site is famous for its unique subterranean villas, which belonged to the wealthiest of its inhabitants; we descend to see these luxurious villas and their splendid floor mosaics, still in situ. After lunch we continue to Dougga, the best-preserved Roman city in Tunisia and a UNESCO World Heritage Site. The monumental Capitolium temple stands in the city's Forum, with a breathtaking view over the green rolling hills and plains below. The theaters, gymnasia, baths, shops, stone paved streets and lavish villas are all testimony to the golden age this North African city enjoyed during the Roman era. This morning we head to Kairouan, travelling through the fertile valleys and rolling hills of the North. Since antiquity to the present, Tunisia is still referred to by other Maghreb countries by the epithet, "Tunisia the Green." This area is a favorite haven for storks, who build their nest on top of telephone towers, minarets and rooftops. We head toward into the Sahel, the transitional barren region between the fertile north and the Sahara desert to the south. 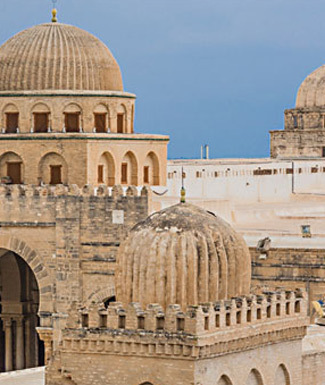 The Holy City of Kairouan is not only the spiritual center of Tunisia, it is the first Islamic city to be established in North Africa, and the 4th oldest Muslim city outside of Arabia. Founded as the capital of the region in 670 AD by the Arab general Oqba ibn Nafi, Kairouan soon acquired magnificent ramparts, mosques, palaces and hammams. Our first stop is the Aghlabid basins, enormous artificial reservoirs constructed in the 9th century to store water for Kairouan, as part of a monumental system in which water was brought by aqueducts to the city from 36km away. We visit the Great Mosque of Kairouan, the oldest, largest and most important mosque in Tunisia. The lowest story of the towering minaret is thought to date to 730 AD, one century earlier than the structure of the present mosque. Inside we will see the colonnaded courtyard with its ancient wellheads and sundials, and the forest of columns of the prayer sanctuary. The hundreds of columns all differ from one another, in marble types, size, shape and capital designs, since most were taken from ancient Roman sites and reused in the mosque's construction. Our final stop before leaving Kairouan is the Mausoleum of Sidi Sahab, also known as the Mosque of the Barber. We finish our day with a walking tour of old medina of Kairouan -- the entire medina is protected by UNESCO. Meandering through the lanes, we will stop to admire the beautiful traditional doors and architectural styles, the main monuments, markets, pastry shops and traditional workshops where weavers (men) still create textiles on hand looms. We continue to the spectacular Roman city of Sufeitula -- modern Sbeitla. The Roman civic center is incredibly photogenic, due to the excellent state of preservation its three monumental temples dedicated to Juno, Jupiter and Minerva towering over the Forum. Sbeitla, like other North African cities, prospered in the 2nd and 3rd centuries AD under the Pax Romana. Upon entering the site, we will see olive press -- one of many in the city, since the inhabitants here became extremely wealthy from the trade of olives and olive oil. After visiting the forum and its temples, we will walk through Sbeitla's stone paved streets to see the public baths, the theater, and numerous Christian basilicas with their elaborate baptisteries covered in colourful mosaics. Heading south, we arrive in the late afternoon at the fascinating oasis town of Tozeur. In medieval times, Tozeur was an important cultural and market center, due to its strategic location on the caravan routes. Merchants from North and West Africa gathered in this thriving oasis, trade such goods as wool, dates, gold, ivory, salt and slaves. Some of the finest dates of the world are grown in the region, the deglat nour or "finger of light". Medieval accounts state that over 1,000 camels used to leave here per day, laden only with dates! This morning while in the vicinity of Tozeur, we will visit the palmerie to view the various crops being grown and to absorb the oasis atmosphere. We then continue eastwards across Chott El Jerid, Tunisia's largest salt lake, extending over 5,000km2. The chott lies 30m below sea level, and is a remnant from over 1.5 million years ago when the area was flooded by the sea. Water on the surface of the salt floor reflects strange hues of pink and yellow, and the refraction of light on this depression often creates mirages. Our next stop is Douz, the "Gateway of the Sahara", another ancient oasis town surround by vast expanses of sand dunes. 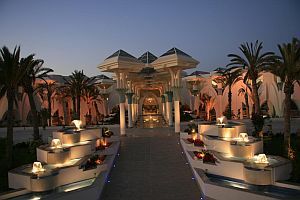 The final leg of our journey takes us to the legendary Island of Djerba, where we will spend the first of two nights. Our drive takes us through one of the main olive growing regions of the country; Tunisia has over 65 million olive trees (6 for each inhabitant!) and is currently the 4th largest exporter of olive oil in the world. We stop at Matmata, where the inhabitants live in rock-hewn dwellings ("troglodyte" homes), some of which are over 400 years old. We will visit the pit dwelling of a local family who will happily show us around. We will also stop to see the cave home which appeared in the first Star Wars film (1977) and was later converted into Hotel Sidi Driss. We will spend the morning exploring the sites of this splendid island. Originally settled by the Phoenicians, the isle of Djerba is the mythical place where Odysseus encountered the Lotus Eaters during his journey back home from Troy. Phoenicians, Greeks, Romans, Vandals, Normans, Arabs, Spaniards, and Ottoman Turks -- all have come to Djerba and left their footprint. Historically Djerba has been known for its sponge fishing and agriculture -- here we can find olive trees which are over 1000 years old. The island today is one of Tunisia’s most famous resorts, with its small villages, charming towns, and 125 km of sandy beaches. Today’s inhabitants of Djerba are culturally distinct from mainland Tunisians, and are proud of their customs, dress and dialect. Our first visit is the excellent ethnographic Museum of Patrimonie, which celebrates the island’s peoples and traditions. Here we will see displays of marriage festivals and traditional wedding dresses from various parts of the country, traditional costumes of the island, circumcision ceremonies, household and agricultural implements, and displays of typical arts of weaving, calligraphy, jewelry and metalwork. We proceed to the center of Guellala, the pottery producing center of the island where we stop to see the kilns and workshops. Next is El Ghriba ("The Miracle") synagogue: one of the oldest synagogues and most important Jewish pilgrimage sites in the world. Djerba is home to one of the world’s most ancient Jewish communities: tradition states that they arrived here after the First Destruction of the Temple by Nebuchadnezzar in 566 BC. This holy synagogue is fascinating for its historic and spiritual importance, as well as for its distinctive style of architecture (a marvelous blend of Jewish, Tunisian, Maghrebian and Sephardic elements). We proceed to the main town Houmt Souq, where first we shall stop to see the medieval fort, Borj el Kebir; this was the scene of a bloody conflict in 1560 between the forces of Dragut, the Barbary corsair, and Philip II of Spain. In town, we will explore the fruit and vegetable markets, watch the excitement at the daily fish auctions, and wander the narrow lanes and souqs. You will have free time to explore more of this charming town, perhaps do some shopping and have lunch at one of the many restaurants in the center. The rest of the afternoon is at leisure. 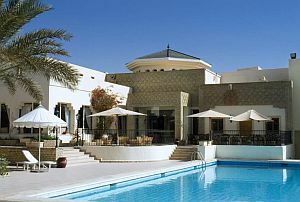 You may wish to stay in Houmt Souq, go to the beach, or relax at the hotel. Our drive continues to the coastal city of Sfax where we arrrive in time for a walk though the medina. This is the second largest city in Tunisia; today Sfax a major commercial and manufacturing centre (mainly of olive oil, almonds, phosphates and textiles) with very little tourism. Inside the massive 9th century ramparts of the old walled city, is the country's finest "living and working" medina. This morning we'll walk through the medina of Sfax; part of the Blacksmith's souq was featured in the film, 'The English Patient.' We will do a walk through the historic lanes, markets and workshops before continuing inland to El Djem (ancient Thysdrus). Our first visit is the excellent Archaeological Museum, with its splendid collection of floor mosaics from the villas of the wealthiest inhabitants of El Djem. Just behind the museum is the House of Africa, an opulent villa covering over 3000 sq m which was found in the center of town, dismantled and moved here in its entirety. The villa is named after one of its excellent fine floor mosaics depicting the Goddess of Africa (the only mosaic of its kind in the world). The sudden appearance of the massive Roman Amphitheatre is an extraordinary sight. With a capacity of 30,000 spectators, it rises 3 stories above the surrounding plains -- though smaller than the Colosseum in Rome, it is in many ways more impressive due to its excellent state of preservation. It was built during the reigns of the (usurper) Emperors Gordion I and his son, Gordian II, both of whom reigned for only a few weeks before being defeated by the legions sent from Rome. Wild beast fights, gladiatorial combats, circuses and games were held here. We climb up to the upper tiers for excellent views of the arena and surrounding countryside, before descending to the basement to see the chambers where scenery, gladiators, prisoners and wild animals were kept. Wild animals were hoisted by a sophisticated (if not theatrical) system of elevators and pulleys into the arena to the delight of the spectators. 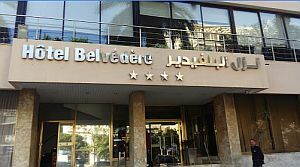 Set in the city center, this relaxed, urban hotel is 13 minutes' walk from Belvedere Park, 1.7 km from Tunis ...	of Fine Arts and 2.6 km from the 16th-century Youssef Dey Mosque. 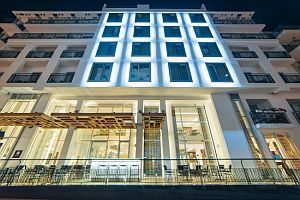 A 7-minute walk from the Musée Dar Cheraït, this refined hotel features polished rooms feature TVs and ornate accents. Set along Sidi Mahrez beach, this extravagant resort hotel surrounded by gardens lies 5 km from Djerba Explore Park and ...	km from Lalla Hadria Museum. Breakfast and dinner (hotels & local restaurants) daily. All sightseeing and entrance fees for sites noted as 'visited' in the detailed itinerary. Gratuities for local guides, drivers, restaurant staff, porters. Domestic flight Malta-Tunis. Airport transfers for land & air customers arriving/departing on tour dates. International airfare to/from the tour. Tour Leader gratuities, lunches, drinks, personal items (phone, laundry, etc), international (if applicable) and domestic air taxes, excursions referenced as 'optional'. Airport transfers for Land Only customers. Our post-reservation trip notes offer further guidance on optional meal costs and shopping. This tour combination is offered in fall when temperatures are mild, crowds thinner, and airfares lower. Days should be bright and clear though showers are possible in late fall when it can also be quite windy. Transport throughout by private air-conditioned motor coach, 24-36 seats depending on ultimate group size (see 'group size'). Though we will have some full bus days, road travel is not particularly arduous as there are plenty of stops of interest. Roads are in good condition, though a little winding on some stretches. Short ferry crossings; scheduled flight Malta-Tunis. Walking tours on uneven surfaces. Well-located, air-conditioned, mid-range hotels and inns (3-4 star) used throughout. All hotels have en suite bath, though some may have shower only. Porter service is usually available (see 'inclusions') though you should be independent with your luggage, especially at airports. Single rooms are limited and likely smaller than twins. Tour Leader throughout, local guide throughout (Tunisia), driver (s), local step-on guides in various locales.